One of the biggest worries every business owner has is the question of how to ensure employees do the best for the company. This question takes greater importance as you realise that you can’t be there in every single situation to offer guidance, instructions, or counsel. One of the biggest worries every business owner has is the question of how to ensure employees do the best for the company. This question takes greater importance as you realise that you can’t be there in every single situation to offer guidance, instructions, or counsel. That’s why some business owners resort to micro-managing their staff. They view micro-management as the only option to guarantee things are done properly and in a consistent manner. But is it really effective? I don’t think so. From my numerous interactions with business owners over the years, I’ve noticed that the most effective workers are those that are trusted. Now I know ‘trust’ is a funny concept in Nigeria. It can be seen as being gullible or not ‘street smart’ to trust people. The Nigerian economy also provides the wrong incentives for people to be dishonest or being seen to be ‘clever’. It’s no wonder that we have trust issues. 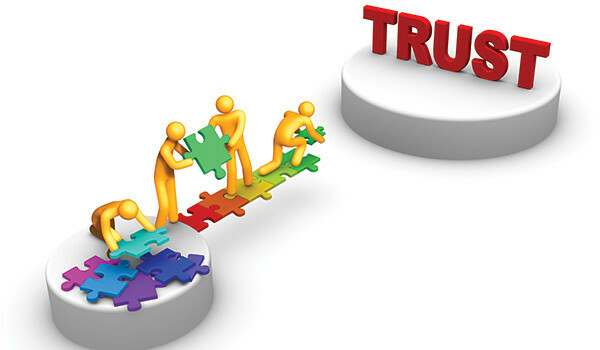 In other words, trust is a competitive advantage that helps your business bottom line. For your staff to be effective, they need sufficient information about your company. I know it’s common for business owners to wrongly think information is ‘sensitive’ or ‘top-secret’, whereas, it’s simply untrue. You can’t expect people to operate with a degree of autonomy, without knowing what’s going on. An example of information to share? The goals of the company; not in a wishy-washy type of way, but continuously communicating what’s important for the firm to achieve, ideally, in a specific time frame. Personally, I think having routine updates works out best. For instance, I send out a weekly email touching upon what’s on the horizon. This gives me the flexibility to shape the focus of the team depending on priorities. You should also ensure you don’t have silos in your company, where people don’t know what to do, or who’s doing what. A good way to avoid that is by having processes and procedures clearly documented. Remember, the point of sharing information is to empower people to take actions – that you would have taken yourself. This is important, folks! You have to give people space and resources to use their initiative. The reality is that you can’t think of all scenarios and outcomes in advance for you to plan the right course of action or response. Your employees taking the initiative is trust in action. Resist the urge to second-guess the exact steps – focus on the outcome. This is where you hold back from saying things ‘I wouldn’t have done it like that’. Or even worse, ‘you should do it my way’. Yes, they might get it wrong sometimes but the long-term payoff of your employees acting independently is immense. When an employee goes over and beyond the call of duty in executing a task or on a project, what’s your reaction? Do you act like ‘well that’s why I employed you in the first place’ in response, and ignore. You will be doing yourself and your employee a disservice by not recognising great work. First, it shows your appreciation for the job done. Secondly, it acts as a beacon for other employees to follow. Finally, there’s no hard and fast rule to do any of this, but remember the goal is to hold your staff accountable without micromanaging them. But more importantly, trust your people so they can be their best. I would love to get your take, please feel free to share in the comments.